The Friday Fundraising Update collects fundraising industry insights and success stories and delivers them to you each Friday from Ruffalo Noel Levitz. They say all good things must come to an end. So say goodbye to fundraising year 2015 with these helpful tips from today’s Friday Fundraising Update. Capitalize on the visitors clicking through your organization’s website this month and make them your donors. Data proves that shortening the online giving interface and making the site a more “emotional” experience for donors can generate up to three times more gifts than your run-of-the mill online giving site. Check out this recent podcast from The Chronicle of Philanthropy for more inspiring analysis. Getting your donors to open your email solicitations feels like you’ve won half of the battle. Clairification provides five awesome tips to enhancing your email subject lines for your year-end fundraising appeal (emojis included!) which are sure to produce results. 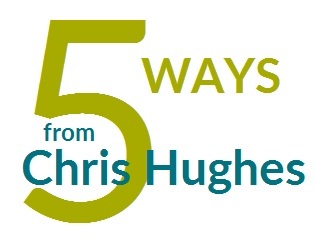 We are showcasing our own Chris Hughes this week who has five thorough tips on strengthening your email solicitations this December. Don’t get too bogged down in your current fundraising efforts that you forget to look ahead to the next calendar year. Big Duck reminds us that these last few weeks of December are vital to planning for 2016, so check out these great tips. Are Thank You Calls Worth the Effort?